Amanda Kelly is former 2 x World Champion and holds a 40+ fight record of 38 wins 1 loss 1 draw across a number of weight classes . 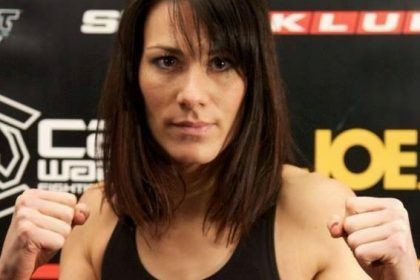 Amanda has fought all over the world for promotions such as ENFUSION, MUAY THAI IN AMERICA and CAGE WARRIORS and holds notable wins that include UFC superstar and ex-world Strawweight Champion Joanna Jedrzejczyk and beating the widely recognised world no.1 female muay thai fighter Julie Kitchen (her only loss was to world superstar Valentina Schevchenko and the draw against World Champion Claire Haigh). Diesel Gym Founder, Cliff Bura says “The Diesel Ladies team has enjoyed many successful and international female fighters in its ranks, Amanda joining the coaching team will not only ensure a bright future for the ladies team but the Diesel fight team as a whole. Amanda is of the highest calibre of competitor and as a coach knowledgeable, experienced, supportive and above all inspirational. We are extremely excited to have this amazing truly world class professional working within our team. Amanda will initially be covering Jenny’s ladies only class while she is training in Thailand and then working alongside her in the continued develop of the ladies Muay Thai practice within Diesel.